Orbital on stage at The Big Chill 2009. In their '90s heyday, Orbital were renowned for their thunderous festival performances, so it was wholly fitting that they made their eagerly-awaited live return at this weekend's Big Chill. 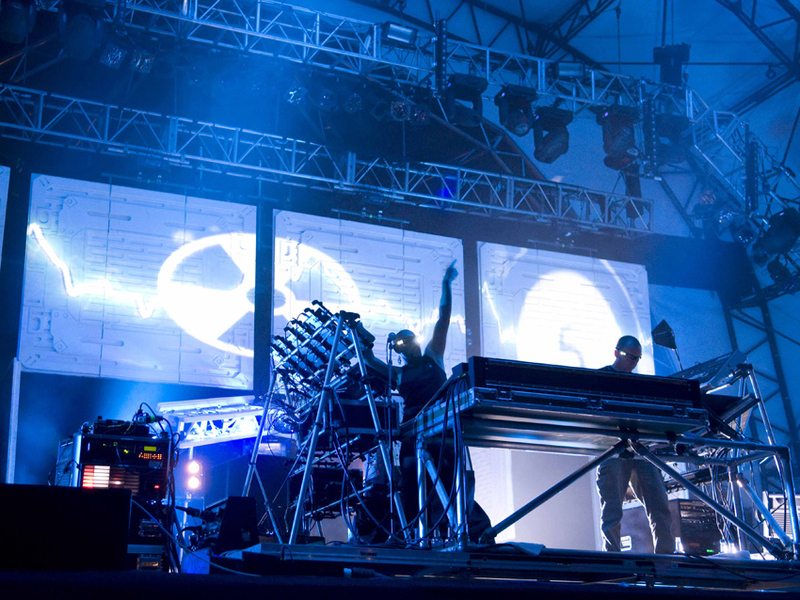 MusicRadar caught up with Orbital on Saturday as they prepared for their headline set on the Open Air Stage. Discussion inevitably turned to the motivation behind their reformation. "We missed it," admitted Paul. "That's the long and the short of it". On a more technical note, they also revealed how their old-school hardware setup has been replaced by Ableton Live and JazzMutant's Lemur, which has enabled them to recreate the workflow of their beloved Alesis MMT8 hardware sequencer on a touchscreen interface.